My but the time is just flying by! Here we are into the middle of January already and it seems like we just had Christmas. Mind you I am not going to complain, the faster this winter goes by the happier I will be. It is snowing outside right now and the skidooers are having a heyday with it. They are flying back and forth on the street out front. Of course Ski Doos on the streets are illegal but it doesn't seem to slow them down any. Won't be long now before we start hearing of them going through the ice on the river. Some of them are total idiots and think that just because we had frost overnight the river has to be frozen thick enough to withstand not only them but their machines. Things have slowed down at work, so I have read all the gossip magazines and now have nothing left to do but just stand there and wait for any straggling customers that might happen to pop into the store. The price of gas is really taking a toll on business, only people who have no choice but must buy gas are the ones who stop in. There is no end in sight either, right now we are selling at cost but eventually we will have to put our price up or go out of business. People who complain to us about the price of gas don't seem to understand that we have to pay that same price, and that it is hurting us probably more than it is hurting them. My hours have been cut way back since the new year came in. On top of that the TSSA is giving us grief over our Liscence to sell Propane. All along we just needed to send in the money with our renewal application, but not anymore, now we need to send in an Emergency Response Action Plan that has to be co-ordinated with the fire department but the fire department is not co-operating. They say, "it's not our job" but they do have a Fire Prevention department and it should fall under that department. So if they won't co-operate with us, we can't get our liscence renewed and we only have til the end of the month to get it. STRESS!!!! I get drawn into that because my boss is Korean and he doesn't speak English well enough to have the conversations necessary with the contacts, so I have to go with him to all these departments to be his spokesman. I have also done a bit of scrapping. 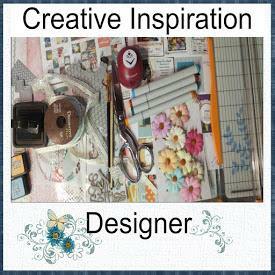 I did my favourite layout every I think yesterday. 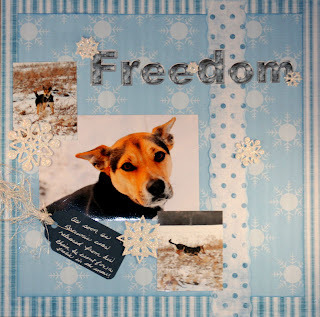 My daughter sent me a few pictures she took of my grand daughters dog, Brownie, frolicking in the snow and I couldn't resist scrapping them right away. I used digi papers but I can't honestly tell you which ones are from where because I used different ones from different places... I took them into Paint Shop Pro and changed colours on them so they would all match. Even the title is Hybrid. This one is a portrait Janet took of Donald Christmas morning. She tried everything to get him to smile but he wouldn't smile no matter what. 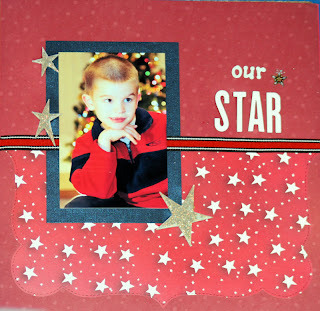 I used papers from Scrapbook.com, the Noel collection. This is Theresa's portrait from Christmas morning, I love this pic! 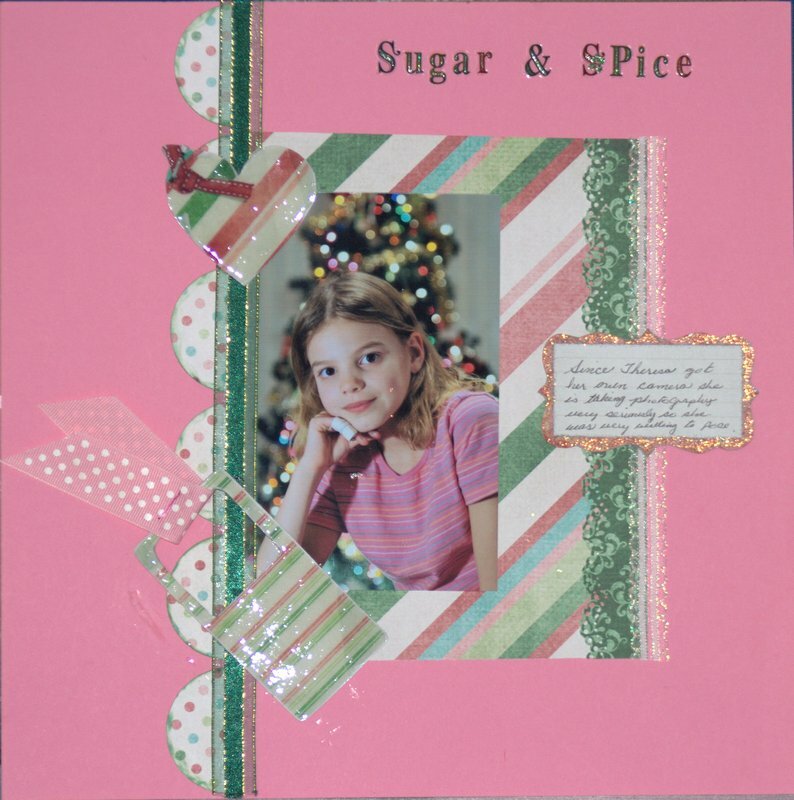 I used digi papers called Shiny and Bright on this layout.. I can't tell you where they are from because there was no text info included in the package.. most designers include a policy notice in their packages but this one didn't. 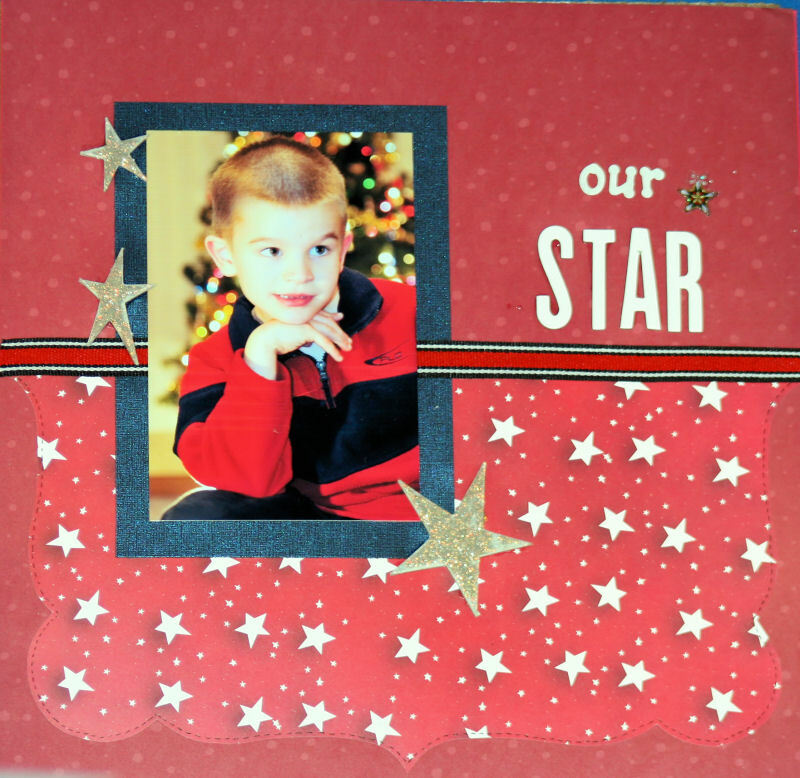 Our Star is the portrait of Daniel from Christmas morning. He is so very solemn looking. 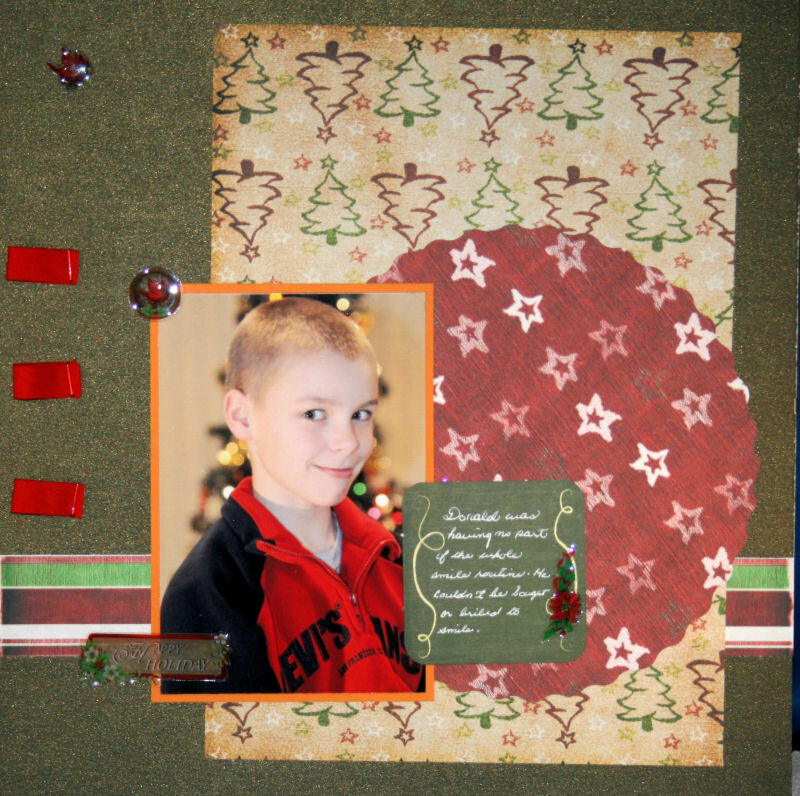 For this layout I used papers from a pad that Janet and I bought way back when we first started scrapping.. and that was when Daniel was a baby. I love Isaac's portrait, he looks so smart in it. 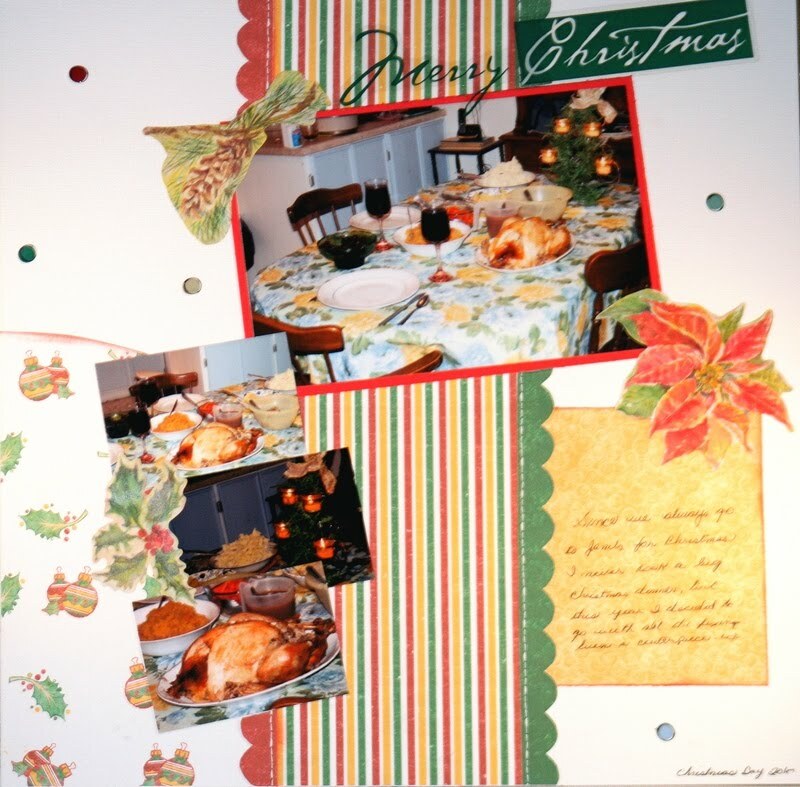 The papers used here are from OneSource and were simply called December. Since we always go to Janet's for Christmas I never cook a big christmas dinner at home, but this year I decided to go all out and cook a full traditional Christmas dinner right down to a christmas center piece on the table. So, of course I had to take pictures of it LOL. 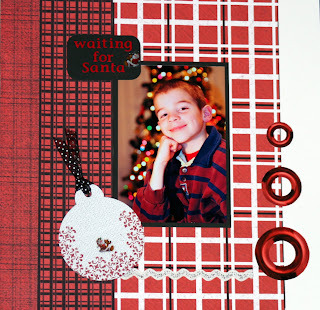 I created this layout for the January 8th Sketch Challenge at WeScrap. I used Shabby Princess digital Papers from the Holiday Sampler/Christmas line. You are right this month is flying by. I love your layouts, great work. The ones of the kids are just so sweet.